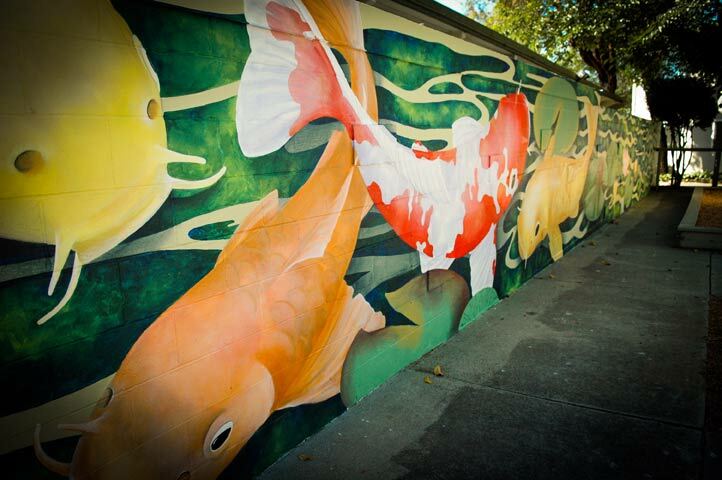 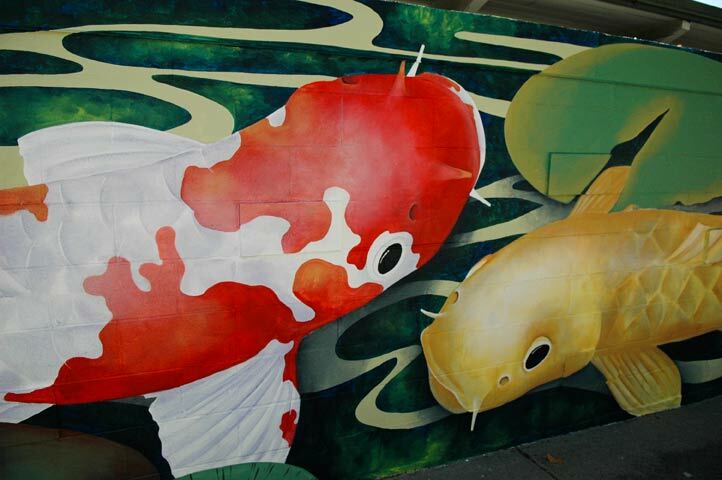 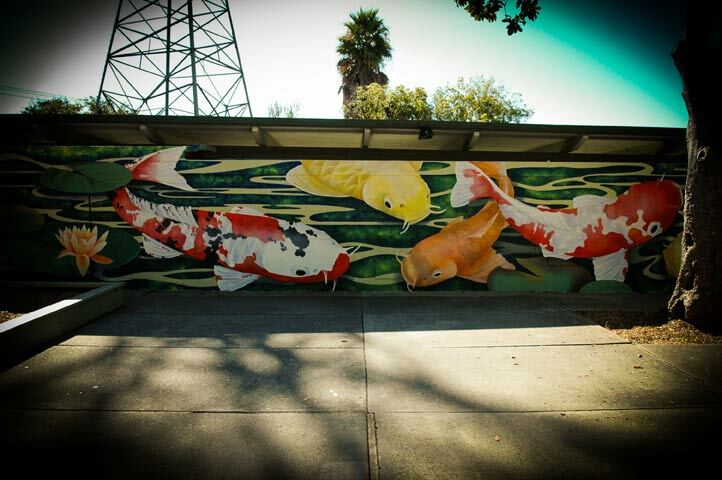 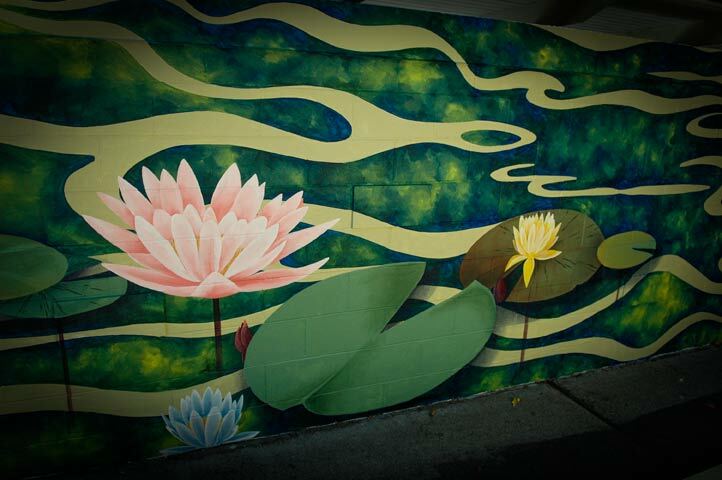 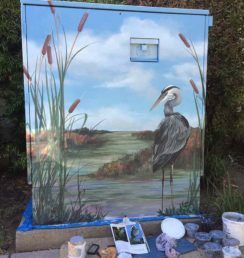 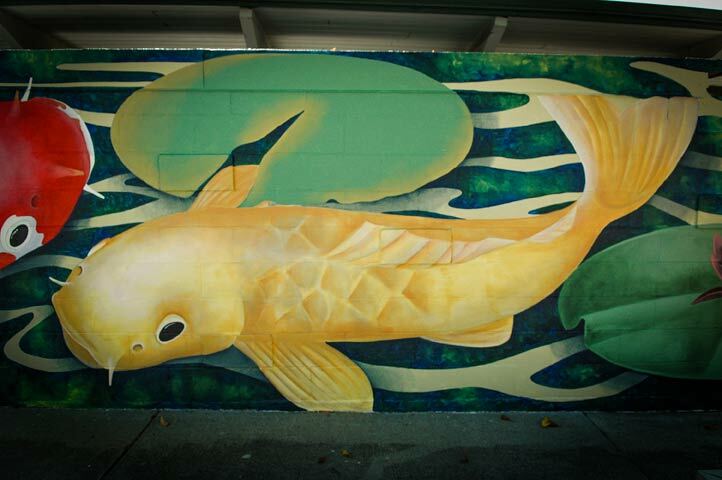 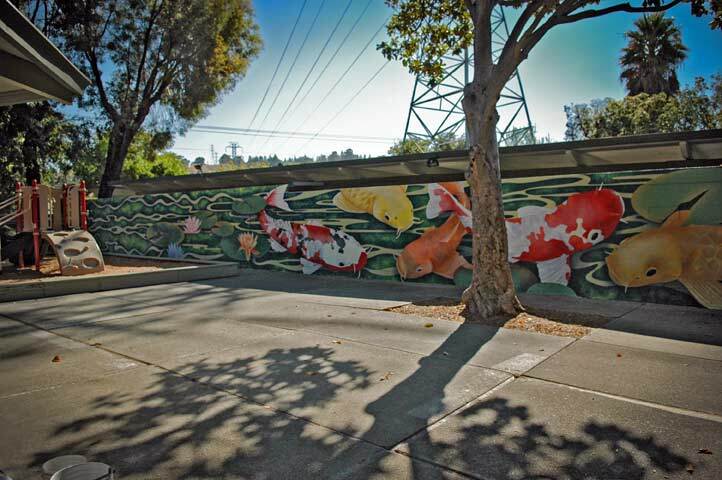 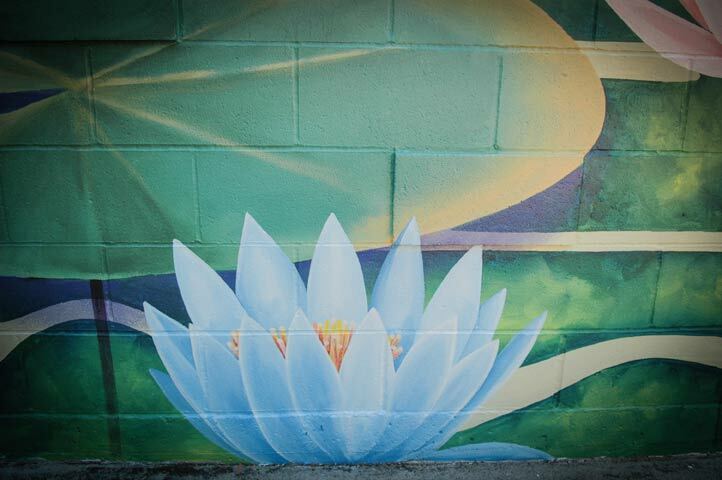 The Koi pond was the inspiration behind this mural. 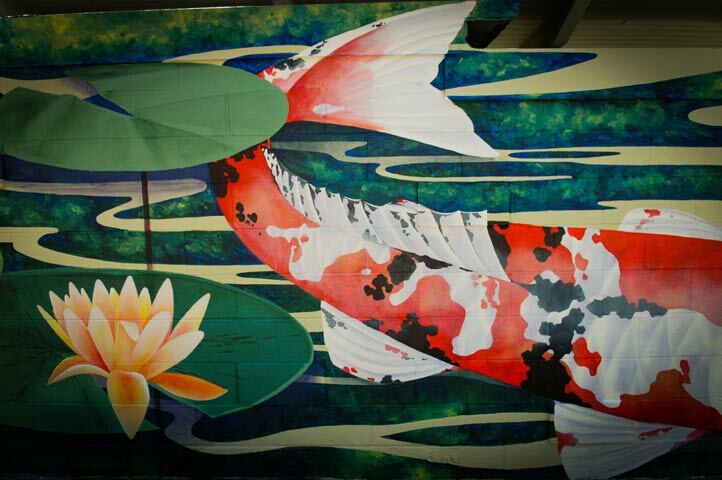 The wall is approx 700 sq. 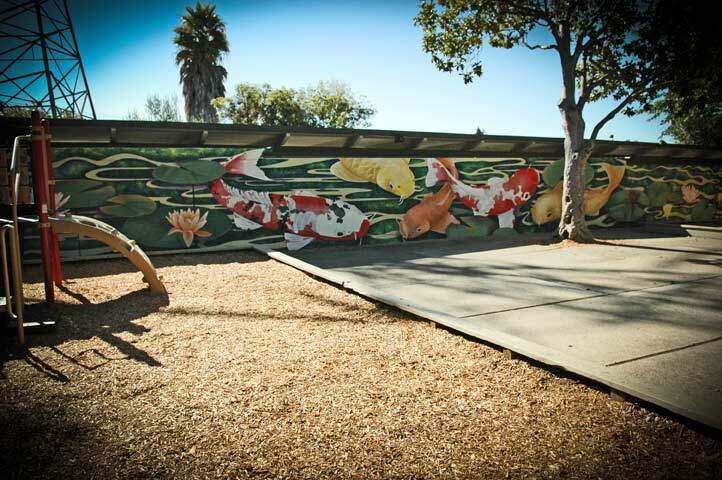 ft. (roughly 100′ x 7′), which separates a parking area and playground/community center. 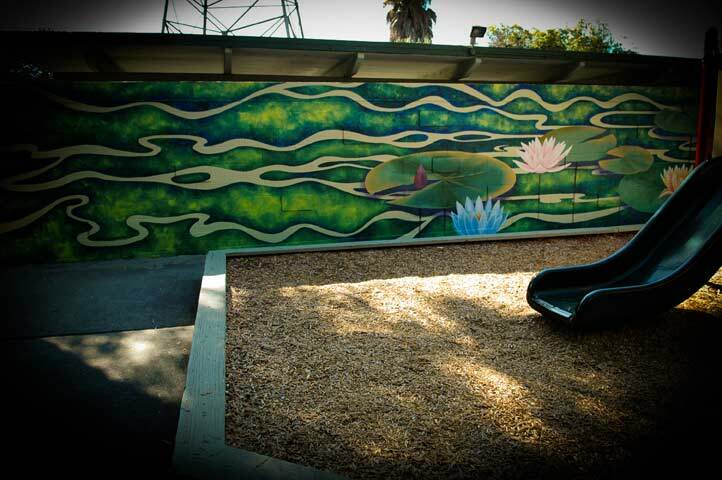 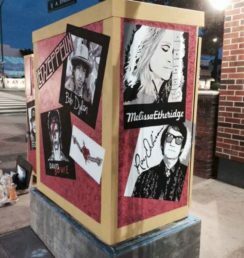 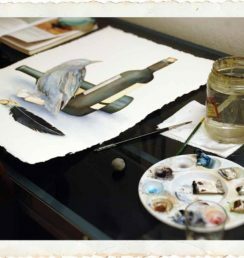 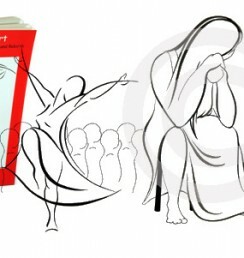 The mural has brought an additional liveliness and connection to the resident’s living experience.